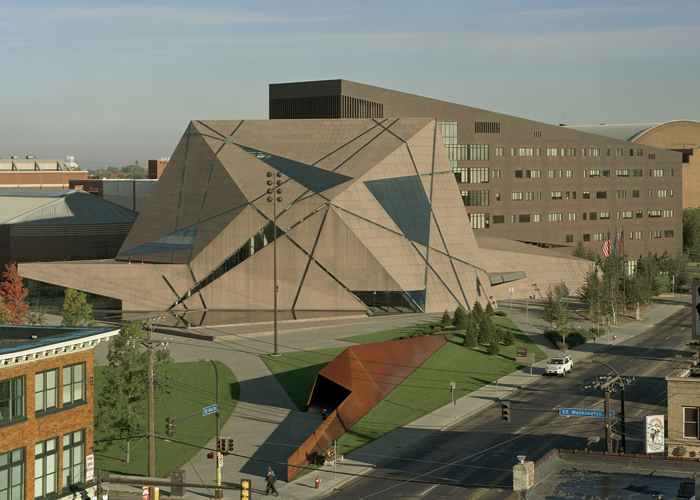 The McNamara Alumni Center is part of the University of Minnesota’s Gateway project. Framed with structural steel, the 250,000 square foot, granite-clad building is designed with 17 differently-angled planes and sliced through at random intervals with irregularly-shaped windows. 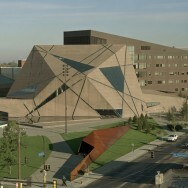 Inside the rock-like structure, a 90-foot atrium houses a grand hall, memorial gallery, and the “Memorial Arch” salvaged from the old, now-demolished football stadium. The Alumni Center also includes a more traditional, seven-story office building behind the assembly area, which uses a cast-in-place post-tensioned concrete structural system.